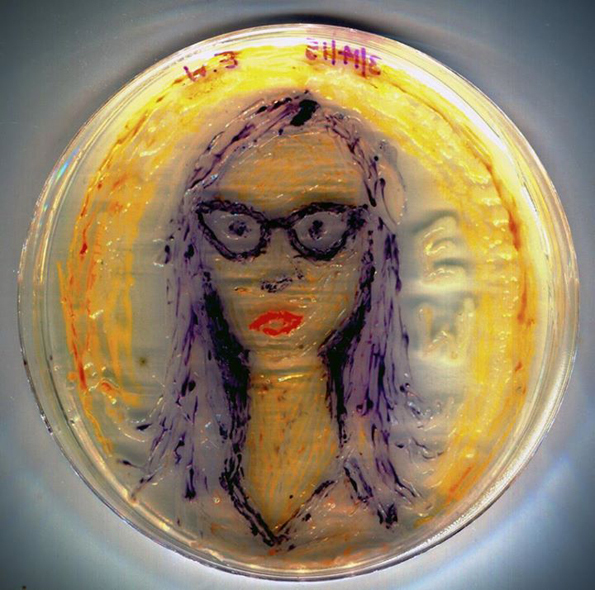 I might not have thought that the American Society for Microbiology (ASM) was made up of super artistic types but there I go, being all judgy and stereotyping people. 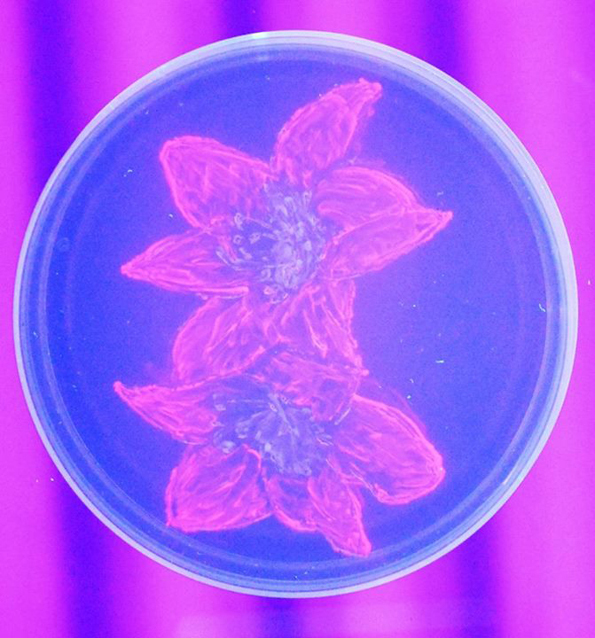 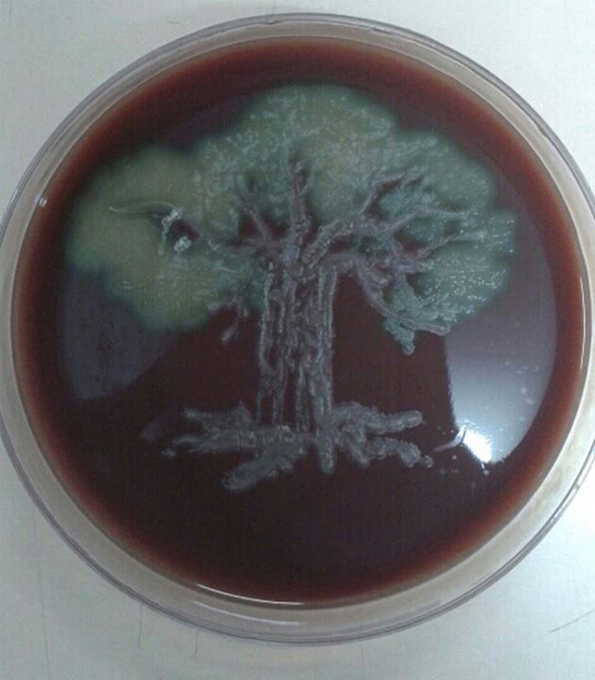 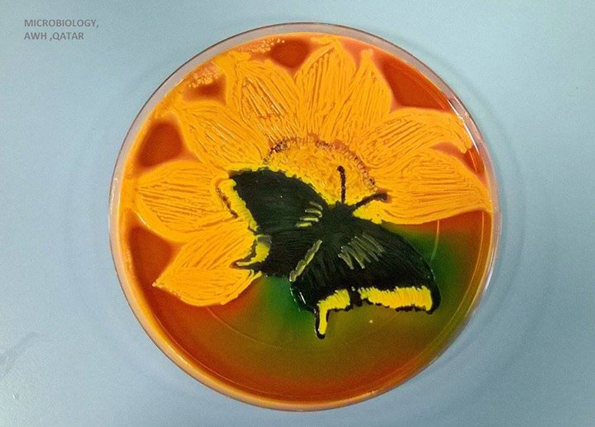 Apparently they have an art competition that challenges scientists to get creative with agar, a gelatinous substance used to make biological cultures. 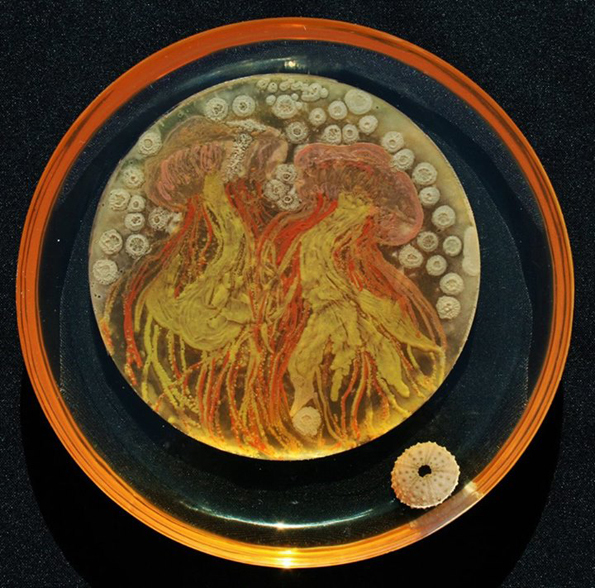 Which makes them both weird and cool, and kind of gross, because bacteria. 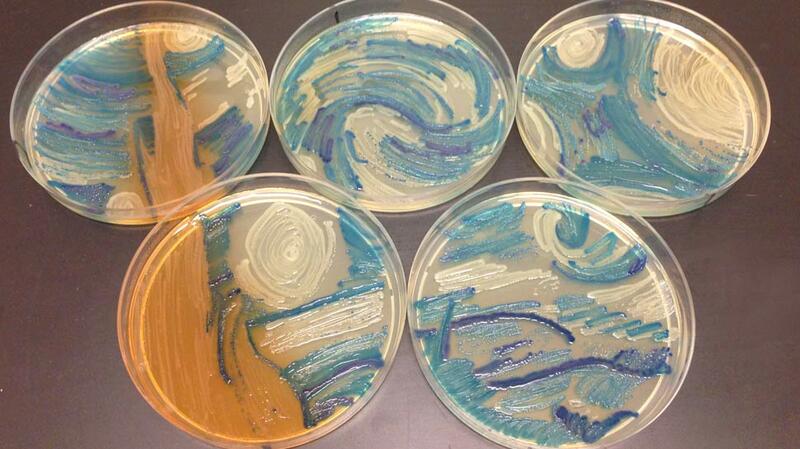 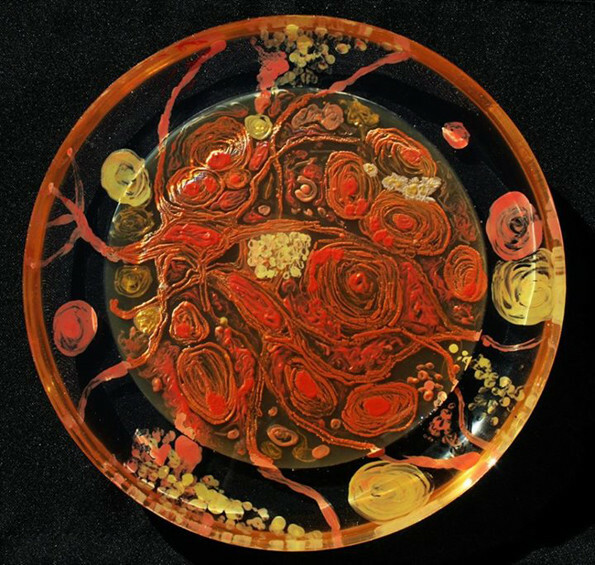 “The petri dish paintings are created much the same way that stencil drawings or silk-screens are made. 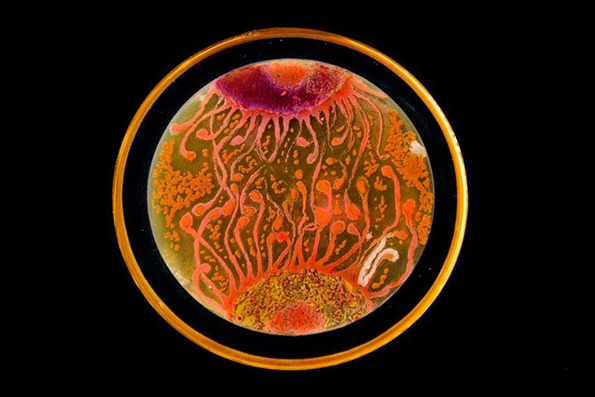 Bacteria and yeasts were laid into the agar, which serves as a soil-like surface for the microbes, which then begin to grow. 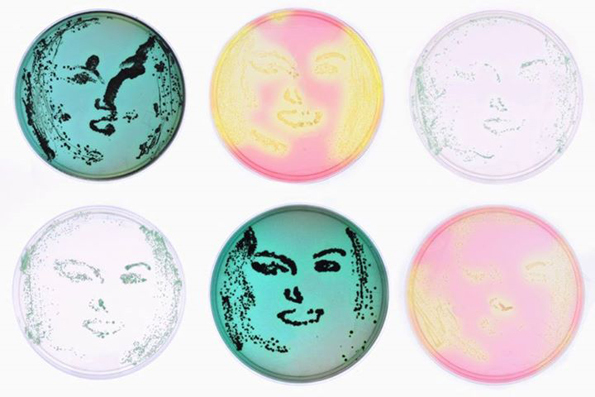 Because many microbes synthesize molecules of pigment, we see them in a brilliant array of colors, from Spirillum rubrum purple to Pseudomonas fluoresces yellow.” So, like silk screens but with bacteria and yeast. 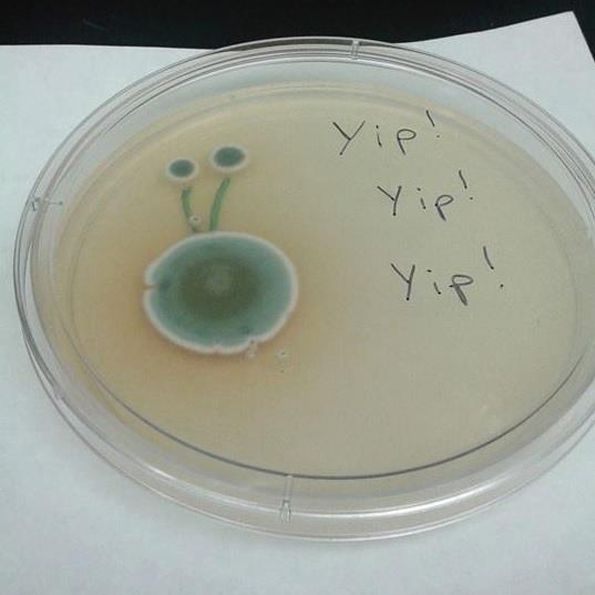 EXACTLY THE SAME.